An arms firm is offering World War One history lessons for schools prompting fears that defence multinationals are having an increasing influence in Scotland’s classrooms. BAE Systems is Britain’s largest defence company and the third largest arms firm in the world, with 95 per cent of its business military-related. Other arms multinationals teaching children include Leonardo, Thales and US company Raytheon, which has made smart bombs in Fife linked to alleged war crimes in Yemen. An aim of Scottish Enterprise – the Scottish Government’s business arm – is to increase the aerospace, defence, marine and security sectors in Scotland by between six and 10 per cent by 2020. A key part of the strategy is to encourage more young people to choose careers in science, technology, engineering and maths, aka STEM. But critics of the arms trade have questioned the motives of arms dealers teaching children, arguing they are trying to sanitise war in the pursuit of profit. As part of its nationwide “roadshow” last year BAE Systems visited Scots primary and secondary schools and its website offers history lessons on subjects such as World War One and the Cold War. BAE Systems roadshow visited 420 schools including Trinity Academy, Edinburgh, Kirkcaldy High School, Davidson Mains Primary School in Edinburgh, and Dumbarton Academy. 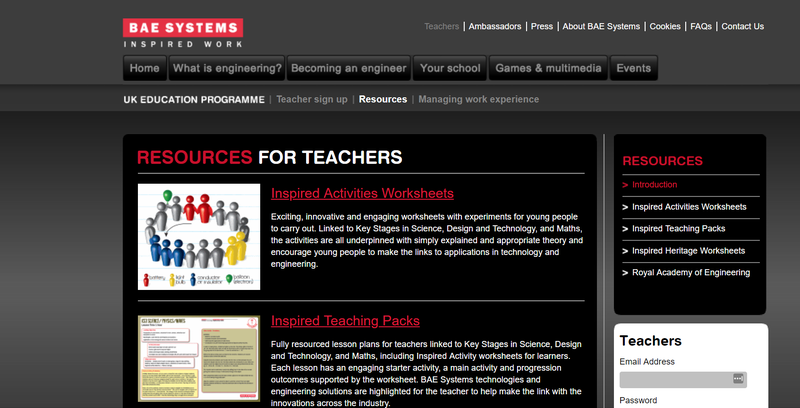 The firm has a website entitled BAE Systems UK Education which offers ‘Resources for Teachers‘ heavily slanted on the military. Under the heading, “Inspired Heritage Worksheets” – alongside a photo of Sir Winston Churchill – there are various lessons on WW1 including “Spitfires”, “Women and Munitions” and “Landships and Tanks”. In 2014, BAE Systems held a competition for eight Glasgow schools and five in Rosyth, in a challenge to design a new aircraft carrier. 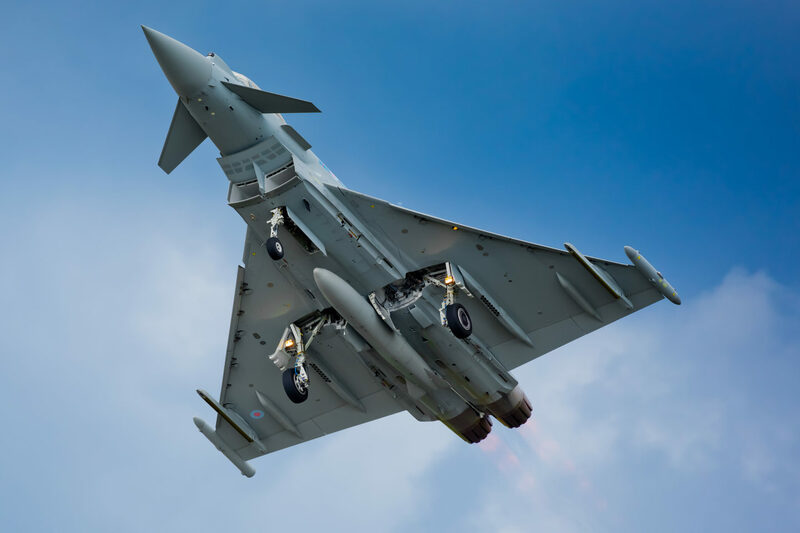 Meanwhile, the firms’ Eurofighter and Tornado jets have been used in Yemen’s war where at least 10,000 people have died, amid mounting allegations of war crimes by a Saudi-led coalition using UK warplanes dropping smart bombs made in Scotland. Yemen’s crisis was laid out on stark terms last week to the UN general assembly when 14 groups – including Save the Children, Oxfam and Mercy Corps – detailed the gravity of the situation. They said: “After almost four years of conflict, and despite all efforts to halt displacement, hunger and disease, Yemen remains the worst humanitarian crisis on earth. The suffering inflicted on Yemeni people is entirely man-made and will continue to deteriorate rapidly on all fronts without actions to end the violence. Raytheon, which has a factory in Glenrothes making laser systems for bombs used in Yemen, has just re-launched a drone making competition for schools in Fife. Raytheon’s factory is the US arms giant’s UK centre for smart bombs. But the firm has been linked to alleged war crimes in Yemen after remnants of bombs were found after civilian sites were bombed. In 2016, Human Rights Watch said remnants of a bomb at the scene of an alleged war crime revealed it was a “Mk-82 500-lb bomb with a UK-manufactured Paveway laser guidance kit”. In the US, Raytheon has been targeting Girl Scouts and Boys and Girls Clubs of America with a view to building its future workforce. Its website said: “In 2016, Boys & Girls Clubs of America initiated a thought leadership forum that convened public and private leaders to create a road map for reaching the high percentage of military youth who live off of military bases. Last October, The Ferret revealed that Raytheon and BAE were among wealthy arms multinationals who had received collectively more than £7m of taxpayers’ money via grants from Scottish Enterprise. Leonardo, an Italian arms firm whose Edinburgh factory makes laser systems for F16 fighter jets, received £6m in tax payers’ money. Leonardo runs a project for children called Robotic Games which is also designed to promote STEM subjects. French arms giant Thales, which has a site in Glasgow, also runs STEM projects. Thales makes missiles, drones and small arms, among other products, that it sells to oppressive states such as Saudi Arabia, UAE and Kazakhstan. Scottish Enterprise said in 2016 that achieving growth in sector “could deliver significant economic benefits, including up to £500m in additional revenue per year, up to 3,000 new or replacement jobs and substantial CO2 reductions from disruptive new technologies”. However, critics of the strategy include Andrew Smith of Campaign Against Arms Trade, who said: “BAE has armed human rights abusers and exported destruction around the world. Its fighter jets are being used to commit atrocities in Yemen. At the same time as BAE is promoting itself in primary schools, its arms are being used all around the world. “Right now, Yemen is suffering one of the worst humanitarian crises in the world, and BAE has profited every step of the way. It has fueled the war and enabled the destruction of schools, hospitals other vital infrastructure. Protest group Coalition Against Raytheon said it was a “moral disgrace” for arms companies such as BAE and Raytheon to be welcomed into schools. “They are using it as an opportunity to try to influence children into thinking that exports are normal, when they are not. These merchants of death are profiting from war and misery around the world. The local authorities must take steps to ensure that arms companies are not allowed into Scottish schools,” said a spokesman. “Our Schools Roadshow explores the importance of mathematics through real-life and relatable examples, such as smart phone technology, animation, card tricks and other interactive examples, through a fun and live theatre show focused on learning and education”. The Scottish Government said: “We want to see schools and employers working together to enrich learning about Science Technology Engineering and Maths (STEM) subjects, and the development of school-employer partnership is a key part of our Developing the Young Workforce strategy. A version of this story was also published in the Sunday National on 30 September 2018.